(Dec. 29) – Swedish appliance maker Electrolux was founded in 1919 and taken over in the 1930s by wealthy Swede and Nazi collaborator Axel Wenner-Gren. Early in the Second World War, Wenner-Gren’s friendship with Nazi Commander-in-Chief of the Luftwaffe, Herman Göring, and the Duke of Windsor, who had to abdicate the British throne in 1938 due to his support for the Nazis, led to the Allies placing Wenner-Gren on an economic blacklist. Wenner-Gren also partnered with ITT owner Sosthenes Behn and SKF Bearing chairman Sven Winquist (see below) in the giant Bofors munitions empire, bought from Krupp, which supplied Germany with weapons. ITT owned 25 per cent of Focke Wulfe, which produced fighter planes for the German Luftwaffe. ITT also financed Pinochet’s bloody 1973 military coup in Chile. In 1957, Wenner-Gren proposed a plan to British Columbia Premier W.A.C. Bennett to exploit the resources of 40,000 square miles (one-tenth of BC) of the “Rocky Mountain Trench” in northern BC. The plan included a “dam larger than the Hoover Dam” but only a Prince George to Alaska railway was completed. A few years after Wenner-Gren died in 1961, the BC government built the W.A.C. Bennett Dam on Williston Lake. In 1956, Wenner-Gren sold his Electrolux shares to the Wallenbergs, Sweden’s most powerful finance capitalists. Marcus Wallenberg is Electrolux’s current chairman and the Wallenbergs control 27.6 per cent of the company. Marcus Wallenberg is also chairman of the Wallenberg family bank, Skandinaviska Enskilda Banken (SEB), with subsidiaries in Estonia, Latvia, Lithuania, Ukraine, Russia, Germany and New York. He is chairman of defense contractor Saab, vice chairman of telecom giant Ericsson, and chairman of the International Chamber of Commerce (ICC), a worldwide business organization which includes thousands of companies in over 130 countries. The Wallenbergs also hold significant shares in Saab, Ericcson, SKF Bearing Company, Skandinavian Airlines Systems (SAS), Husqvarna, Atlas Copco, Astra Zeneca and many other companies. During the Second World War, both Electrolux (then owned by Wenner-Gren) and the Wallenberg family collaborated with the Nazis. According to the American Jewish Committee,Electrolux AG in Berlin used slave labour to produce its products. In 2005, Electrolux bought the brand name of AEG, the leading wartime German electrical producer, and now “proudly” trades using the brand AEG-Electrolux, even though during the Second World War, AEG donated money to the Nazis, was represented in Himmler’s “Circle of Friends,” and exploited slave labour, including at Auschwitz Concentration Camp. The Wallenberg’s bank, Enskilda Banken (which merged with Skandinaviska Banken in 1972 to form Skandinaviska Enskilda Banken) collaborated with the Nazis by helping them dispose of millions of dollars in assets confiscated from prisoners by converting the stolen Nazi gold into Swedish currency. During 1939-1940, the Enskilda Bank secretly purchased all foreign branches of the Robert Bosch Group, a German manufacturer of spark plugs that employed slave labour. In turn, Bosch facilitated Enskilda’s sale of $3.6 million worth of German bonds. The Enskilda Bank also helped Nazi corporations such as I.G. Farben and Krupp hide their foreign subsidiaries to avoid confiscation by the Allies. U.S. Secretary of the Treasury, Henry Morgenthau, in a February 1945 letter to the U.S. Secretary of State, charged that Enskilda was making large loans to the Nazis without collateral and making covert investments for German capitalists in U.S. industries. The Wallenberg’s SKF Bearing, the world’s largest ball bearing manufacturer, collaborated with the Nazis by supplying them with vital steel ball bearings, while at the same time holding back supplies to the Allies. Sixty per cent of SKF’s production until late in the Second World War was allocated to Germany. SKF was interlocked with every industrial group in Sweden and the SKF directors represented companies that ran the entire Swedish economy. SKF also controlled iron mines and steel foundries and factories in the United States, Great Britain, France, and Germany. The head of SKF was Sven Wingquist, a partner of the Wallenbergs and of Axel Wenner-Gren, and a friend of Göring and the Duke of Windsor. Göring’s cousin, Count Hugo von Rosen, was a U.S. director of SKF throughout the war. 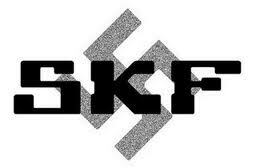 Although small in size, SKF’s ball bearings were absolutely essential to the Nazis. The Luftwaffe could not fly without ball bearings, and tanks and armored cars could not roll without them. Nazi guns, bombsights, generators and engines, ventilating systems, U-boats, railroads, mining machinery and communications devices could not work without ball bearings. In fact, the Nazis could not have fought the Second World War if Wallenberg’s SKF had not supplied them with all the ball bearings that they needed. 1. It was also recently revealed that the father of Sweden’s current queen was a Nazi party member who worked for a Brazilian branch of a German company that used slave labour, and then returned to Germany in 1939 and became rich manufacturing Nazi armaments in a factory stolen from the Jewish owners, Wechsler and Henning. 2. Information from Jewish Virtual Library Page, data supplied by the Berliner Geschichtswerkstatt. 3. Much of the information about Enskilda and SKF is from: Higham, Charles. Trading with the Enemy: An Exposure of the Nazi-American Money Plot, 1933-1949. New York: Dell. 1983.